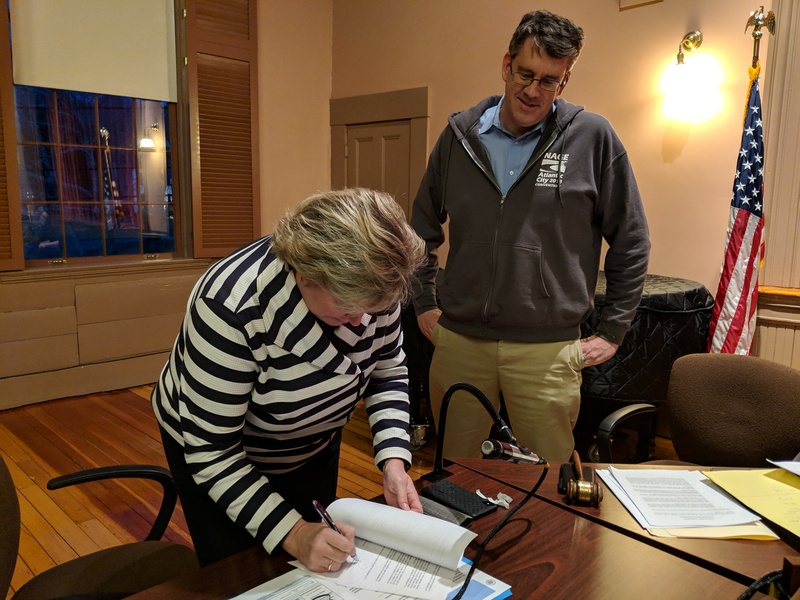 Dr. Pam Gould has signed a contract extension with the Sandwich School Committee that ends in June, 2025. 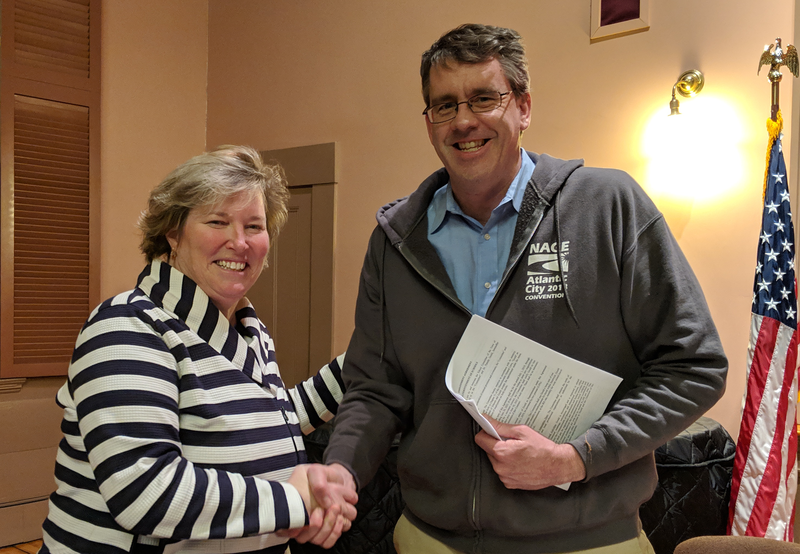 At the School Committee Meeting of March 20, 2019, Chair Jim Dever announced that the committee had negotiated a six-year contract extension with a 2% salary increase for each year of the contract. This percentage increase matches the increase awarded to the Sandwich Education Association teachers bargaining unit in the fall of 2018. Mr. Dever explained that, for the 2019-2020 year, Dr. Gould would be taking a cut in pay for one year, since she already had a 2.5% contract through 2020. Dr. Gould was hired as an interim Superintendent in July 2016 and was awarded a three-year contract in December 2016 to expire in June 2020. That contract featured an annual increase of 2.5%. Vice-Chair Sean Rausch made a motion to accept the negotiated contract, waiving a second reading. The committee unaminously voted in favor of the contract. Dr. Gould accepted the congratulations and appreciative comments from the committee, pointing out that a six-year extension would bring stability to the district, and would help to ensure that a vision that has been created collaboratively with the community would develop and come to fruition. She spoke of her committment to the district and enjoyment of the people she has met and the work she has begun. Previous to Dr. Gould, Sandwich Public Schools had three superintendents in a 12-year span, a time that was characterized by significant change. The last long-term superintendent was Peter Cannone, who served from 1993-2004. Regarding her decision to take a one-year cut in pay, Dr. Gould referenced one of the core values shared at her first official meeting with all staff in August 2016 – “No employee is more important than any other.” Dr. Gould advocated that her salary increase should not be greater than any other staff member’s. Mr. Dever commented that Dr. Gould’s decision to take a cut in pay mirrored that of a “well-known athlete who plays in Foxborough” and reflected a similar philosophy about putting the good of the team first. Dr. Gould was delighted and humbled to be compared to Tom Brady!